Recently, local blog Greater Greater Washington reported that some residents in Washington D.C. have been exposed to flyers that promulgate a political opinion — an opinion that is likely not shared by the majority of said residents. Some of the offending flyers. Fortunately, people have taken it all in stride, as they’ve quietly acknowledged that the distribution of such flyers is protected political speech, a core facet of the First Amendment. Are the people who distributed the flyers behaving lawfully? A law found to discriminate based on viewpoint is an “egregious form of content discrimination,” which is “presumptively unconstitutional.” … A law that can be directed against speech found offensive to some portion of the public can be turned against minority and dissenting views to the detriment of all. The flyers didn’t encourage violence, they simply voiced a political opinion – one that is shared by tens of millions of Americans. Is advocating for a legal, non-violent political opinion not allowed in the District? Is it [Greater Greater Washington’s] position that flyers advocating for a legal, non-violent political opinion should be prohibited? To wit, the message of the flyers boils down to advocating for the enforcement of existing federal laws. While reasonable people can disagree about the particulars of settled law, in a general sense, advocating for the enforcement of a law is an entirely normal, constitutionally-protected action. The people who distributed the flyers — if they are guilty of anything — might have violated DC law regarding the placement of signs/placards in public rights-of-way. This is a minor violation akin to littering. Is DC leadership behaving lawfully? Additionally, congress has granted the federal government the power to prosecute immigration crimes by way of U.S. Immigration and Customs Enforcement (ICE). In other words, those who harbor illegal aliens can potentially receive up to five years in prison for each alien. I wonder what effect — if any — Billy Graham’s Crusades and ministry had on the Catholic Church’s Second Vatican Council. Ecumenicism is a major part of Vatican II and was one of Graham’s hallmarks. Mixing equal parts Mike’s Hard Lemonade™ and regular lemonade should yield Mike’s Somewhat Firm Yet Pliable Lemonade™. Likewise, equal parts Mike’s Hard™ and, say, grain alcohol, should yield Mike’s Extremely Difficult™. Simon and Garfunkel’s “Cloudy” may not be Paul Simon’s best song, but the arrangement is top-notch. If there is ever a Baroque-pop revival, “Cloudy” should serve as the blueprint. Jens Meiert is delving deeper into the increasing pedantry that is long-term HTML/CSS maintenance. I’ve decided that I thoroughly enjoy swimming at the beach. Not just wading up to my knees like a little girl but actually swimming. Being a snob, it was only a matter of time before this list surfaced. Enjoy. Microsoft Internet Explorer, namely the 6th version. The subtle adverts that Quicken puts in its software — software that I’ve paid for, I might add. The seeming inability to change the color of unread messages in Lotus Notes 6.5.1. It’s a bright fire-engine red. I just know that this must be having a detrimental psychological effect on me. The over-reaching scope of the US Federal government. The apparent inability of the government to stop taxing, regulating, and subsidizing once precedents have been set. For instance, subsidization of corn and excessive taxation of diesel fuel. Studies that reveal that many Americans can’t name the three branches of government, identify a single Supreme Court justice, or point to a well-known country on a map. The tendency for people to vote for a candidate for non-political reasons, as such historicity, popularity, stage presence, or charm. The ingredients list of certain Celeste pizza products. Hint: you’re not eating cheese. Instead, your body will attempt to digest Imitation Mozzarella Cheese (Water, Partially Hydrogenated Soybean Oil, Casein [Milk], Modified Food Starch, Trisodium Citrate, Sodium Aluminum Phosphate, Lactic Acid, Natural Flavor, Disodium Phosphate, Artificial Color, Guar Gum, Sorbic Acid [to Preserve Freshness], Artificial Flavor) An abomination before the Lord! Lately, I’ve taken to making my own insalata caprese-style pizza. Now that’s what I call food. My inability to ingest spicy hot foods without having an acute attack of the hiccups. The ubiquity of high fructose corn syrup. Being expected to laugh or smile at jokes that just aren’t funny. Having to resist the urge to say “I shouldn’t have to tell you more than once!” when playing volleyball. Annie’s camera shyness. This is especially cruel, considering that she’s the most beautiful woman since at least the fall of Constantinople in 1453. Loud talkers with nothing to say. The inevitability of the aging process. The film Casablanca got me thinking about the way many of us “choose sides” when we watch a film with war themes. What vexes me is that one can’t always pull for a certain country — no country provides an assurance of consistency. Even the United States is not exempt from this rule, as Clint Eastwood’s complementary films Flags of Our Fathers and Letters From Iwo Jima let on. In general, yes, one can pull for the United States — unless they’re depicted torching huts deep in the jungles of Vietnam. Pull for England/the United Kingdom, except when they’re at war with America (The Patriot) or with Scottish clans (Braveheart). France is tricky: pull for them during the French and Indian War (The Last of the Mohicans), other colonial conquests, the American Revolution, but then not during the Napoleonic wars (War and Peace, Master and Commander: The Far Side of the World). With few exceptions (the Franco-Prussian War and the Algerian War come to mind), pull for them from the middle of the 19th century onward. Lately, I’ve been wondering to what extent my political worldview was influenced by my parents and my environment when I was a child. Are my beliefs truly my own? Or am I simply regurgitating what I happened to soak in during my formative years? The same set of questions can be asked of anyone with political opinions: is what you believe truly “original”? Opinions come as a direct result of rebellion (typically in the teen years). The subject ends up having opinions at odds with those of his environment. The subject forms opinions objectively — with scant indoctrination during the formative years. In this case, the subject’s environment has little or no effect on the subject’s worldview, either positively or negatively. Rarely is the third outcome given as a explanation of why someone has certain political beliefs. If his environment propagated similar worldviews, then it is likewise credited. But if his environment had dissimilar worldviews, then the subject must have rebelled. The Budget process of the United States government states that the president shall submit a budget proposal to congress, who will then approve and/or modify the proposal. Reagan’s first budget request was for fiscal year 1982, which started on October 1, 1981. Since “My City Was Gone” first appeared on wax in October 1982, Hynde only had a small window by which to pen the supposedly anti-Reagan lyrics. Reagan didn’t even take office until January 1981, and his budget wasn’t effective until October of that year. I seriously question the influence that Reagan (and the gridlocked 97th congress) had on new construction contracts in Akron, Ohio between October 1981 and the day that Hynde wrote “My City Was Gone”. For the sake of argument, let’s say spring 1982, although it could have been much earlier. 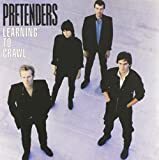 Various sources indicate that the song was written before the death of The Pretenders’ guitarist James Honeyman-Scott which occurred in June of 1982. In reality, Hynde is lamenting that her Ohio isn’t the Ohio she knew when she was younger. In a perfect world, there should have been a moratorium on all real estate development in Akron, Ohio in 1973 — the year Hynde left for London. It’s becoming apparent that Hynde is railing not only against development and change, but against capitalism and the market economy itself. Put an end to senior citizen discounts. You read that correctly. No more 1/2 off breakfast platters at Denny’s and IHOP. No more $3 off movie tickets. No more discounted hotel rooms or plane rides. The myth that seniors fall into poverty when they retire couldn’t be further from the truth, as a visit to the Census Bureau website will attest. In 2006, the percentage of seniors (those over 64) in poverty was a mere 9.4% — about 25% less than the national average. Minors (those under 18) were almost twice as likely to be in poverty, with a rate of 17.4%. If an establishment must discriminate based on age, a “minor discount” or “under-18 discount” would be the most logical, as that age group has the highest levels of poverty. 45 years ago, though, seniors were the ones suffering the most. Sadly, they are still stuck with that reputation.